Thank you Sabrina it was a great tutorial too! Dang! You are another one of those talented people that can make great new papers out of other ones! Love that bracket by the way - that's one of my favorite ellies! Thank you mocamom I like brackets too, just don't use them enough! 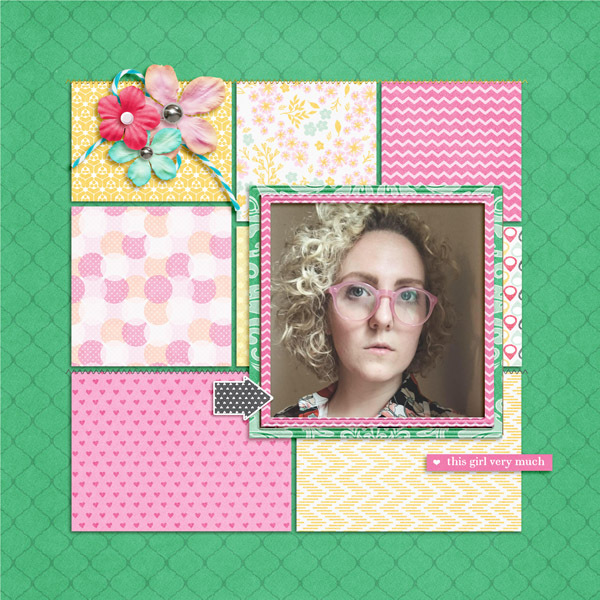 I liked the idea of using a pocket template as a pieced background for a photo. I blended the dark green paper from the Good Stuff kit with the black and white trellis print. I used the Multiply Blend Mode 22% opacity. Thanks for the great tutorials. This reminds me of a beautiful quilt! I love your heartfelt journaling. It's so easy to lose ourselves when we spend all day taking care of our families. I'm so glad you have started doing something for yourself. Little things often make a huge difference. You will treasure this beautiful page when you look back on this time in your life. That's my favorite tutorial! The one about the fonts I mean. I have this one saved and refer back to it often. You did a great job on your title and I LOVE your photo strip!! 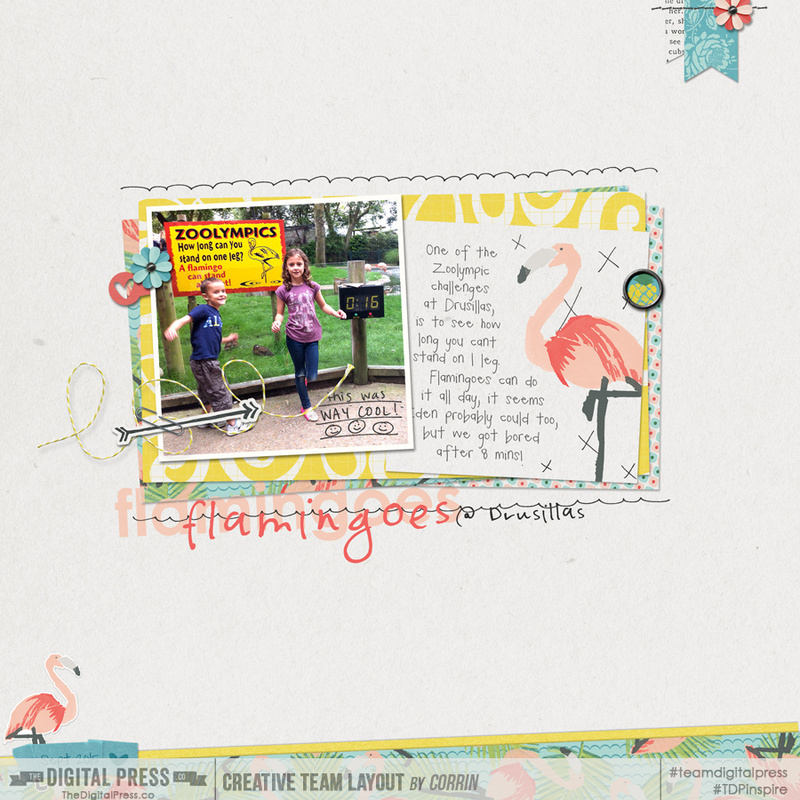 and Dawn by Designs' new Tropicana kit - love those cure flamingoes!! mocamom yes they are free! The pale pink flamingoes is century gothic - bold (came with our computer I think), and the dark pink and black flamingoes @ Drusillas; is called Pea EliseJoy (fonts for peas from Kevin and Amanda). 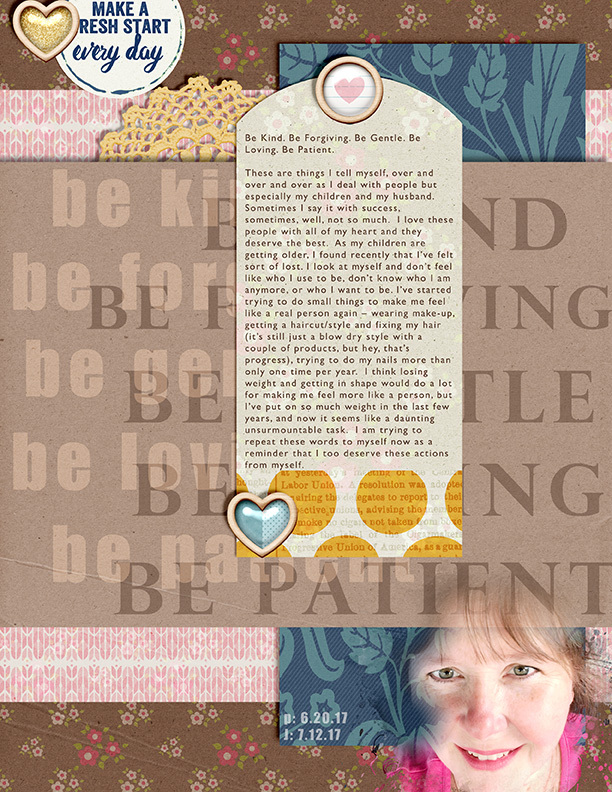 Just in case, the journaling is Pea KungFu Manda - also form fonts for peas. 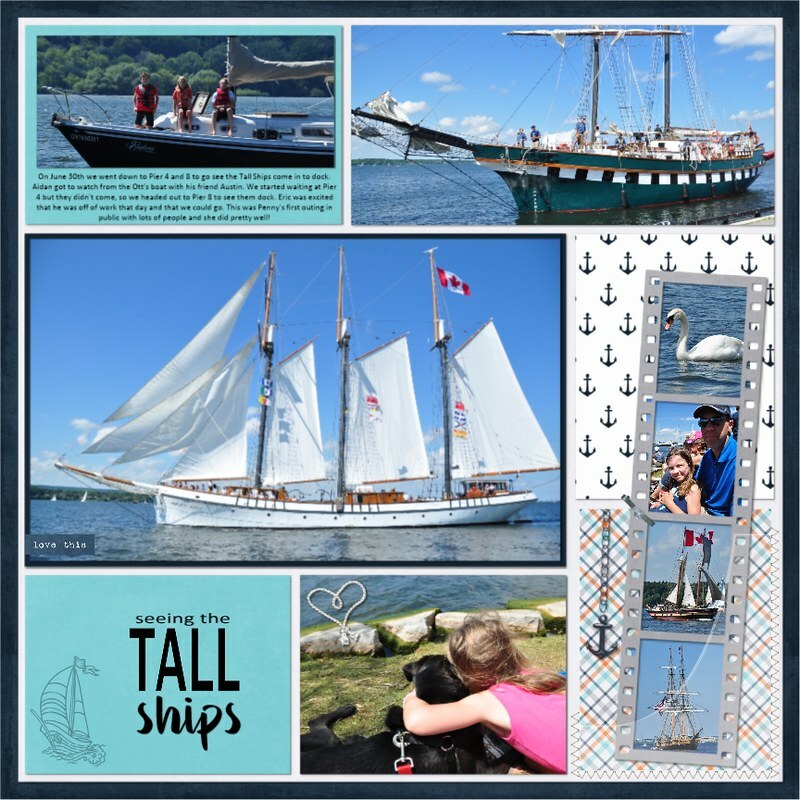 Beautiful page Molly and sending e-cards is a great way to stay in touch! Which tutorials did you use for this sweet page? I used tips for Shooting at Night (Farrah) and "Painting " Papers together (Barbara). Another good challenge to stretch our skills a bit! Ohhh I need to go find that tuturial on the night photography. That is where I struggle the most!! 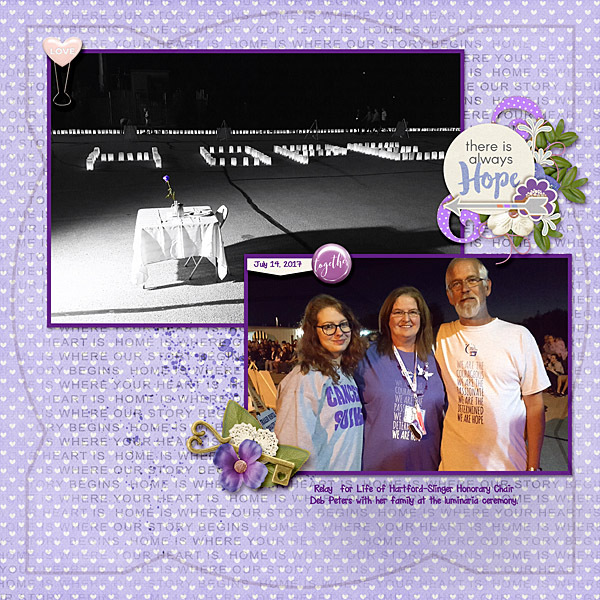 Love that your word art reflected the word &quot;hope&quot; like the candles! This is such a pretty page! Thank y'all so much for playing along with me. I pinned many tutorials thanks to this challenge and it was truly a pleasure looking at all the layouts this week! !